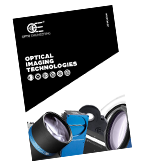 Quickly find the telecentric lens that fits your application using this chart. Quickly find the entocentric lens (macro) that fits your application using this chart. Quickly find the entocentric lens (fixed focal length lens) that fits your application using this chart. Quicky find the illuminator that fits your application using this chart. 한 카메라로 사물 전체 이미지를 얻을 수 있습니다.